Start speaking a new language on day one! Try your first lesson free. Learn Spanish (Latin America or Spain), English (US or British), French, Italian, German, Chinese (Mandarin), Arabic, Dutch, Filipino (Tagalog), Greek, Hebrew, Hindi, Irish, Italian, Japanese, Korean, Persian (Farsi), Polish, Portuguese (Brazil), Russian, Swedish, Turkish, or Vietnamese. 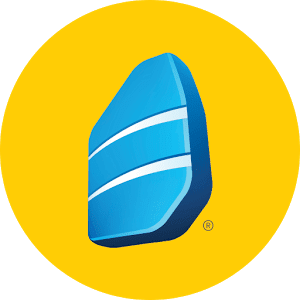 Rosetta Stone’s Learn Languages app lets you learn a language anytime, anywhere through immersive, self-paced lessons that introduce new skills in a way that stimulates your brain’s natural language learning ability. Our award-winning teaching methodology has been trusted by millions worldwide for 20+ years, including educational institutions and corporate clients. Get talking. Develop useful and practical conversation skills based on everyday scenarios and events. Sound like a native speaker. Our TruAccent™ speech recognition technology listens to your pronunciation and helps you refine it, helping you speak more authentically. Pick up where you left off. We allow you to sync between Android devices so you can practice your skills on both Android phones and tablets seamlessly.